Quercus’ fence panels are made from the highest quality sustainable English sourced Oak which will provide a stunning visual enhancement to any boundary whether it’s within a traditional or contemporary setting. 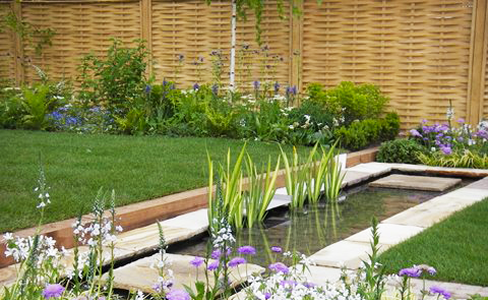 Standard sizes for fence panels range from 1’ through to 6’ in height. However panels can be custom made to order up to a maximum of 2 metres in height and width. Once installed the oak fencing panels will not require any ongoing maintenance with preservative treatments, as the natural tannins in the oak protect the exterior of the wood and allow the wood to age gracefully to a natural weathered silver finish. The patented weave design of Quercus’ products is not just an aesthetic design feature; it also means the products are more durable, as the weave enables air to move freely through offering less resistance and so reducing the likelihood of damage from winds and gales. 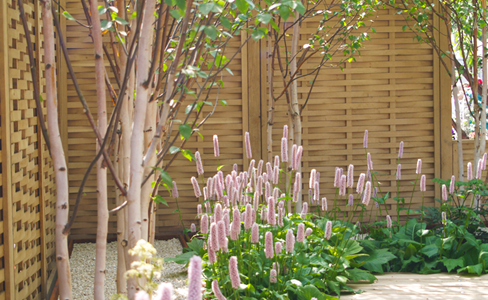 This weave design on the fence panels also enables shafts of sunlight to pass through it, which benefits plants on either side as it helps prevent areas of dense shade or frost pockets.